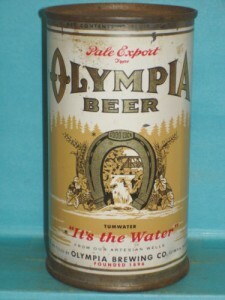 Dad had beads of sweat on his forehead and was enjoying a little refreshment from a can…Olympia beer. He’d set it on top of the fencepost and returned to repairing the tear in the chicken wire. I stood on my tip-toes to reach the can, pulled it down, put it up to my lips and took a sip…or two…or three… It was cool, refreshing, and tasted of a little grain and salt. It was pretty good. But my parents taught me well, so a few sips was all I’d take. Beer was something adults drank. Adult men, in particular. BEER CULTURE→ Washingtonians enjoy having a beer while working on projects—especially outdoor projects. The Puget Powerline Trails are a mixture of gravel roads and dirt paths that follow the powerlines. These tall poles and structures carried power lines that climbed from the cities and local households up into the mountainous region. The powerline trails often have small meadow breaks here and there which were conducive for keg parties, with small bonfires. At that time, the beer of choice typically fell in the realm of kegs of fizzy yellow beer that delinquent youth could get their hands on. While I never attended a party out on the powerlines, I heard a lot about them. I did, however, attend a few house parties, and had one, much to my parents chagrin. It also resulted in me being grounded and receiving several weeks of church counseling. BEER CULTURE→ Washingtonians enjoy getting together with friends—outside—for beer drinking. For college, I went cross-state to Pullman. The beer culture from high school to university hadn’t changed much. It simply went from fields to houses and apartments or across the border into Moscow, Idaho where I was able to drink legally due to the “grandfather clause.” The beer was still yellow, fizzy and light on the palate and served in big plastic cups. And an occasional fraternity house would sport a soda pop vending machine filled with Schmidt, which went down quite easy when playing a game of billiards. But this is also when I discovered Henry Weinhard’s Dark. I departed WSU early, after just two years, because I didn’t know what I wanted to be—or do. After all, I didn’t see any point to continue putting money into schooling when I was feeling adrift. Henry’s Dark came in a box of 12, which made it perfect for sharing with friends. BEER CULTURE→ Washingtonians enjoy getting together with friends—inside—for beer drinking. And we’re not afraid to pair our beer with food and games. After moving from Snohomish to Lake Stevens to Woodinville, I found myself looking to the big city: Seattle! I soon discovered that Seattle is actually a city of neighborhoods. My first rental was a one-bedroom house in Pinehurst neighborhood, between Lake City and Northgate. It was a nice little place, but a bit lonely. So I set my heart on finding a roommate, which also meant moving to a bigger place. The new roomie worked daycare in the Maple Leaf or Wedgewood neighborhood, we lived in Lake Union neighborhood, and I worked—all around town and out into Redmond. At this time, I was a contract technical writer. Living in Lake Union was wonderful. There was so much within walking distance: the U-District, Downtown, or Capitol Hill. Or we could take the bus, or drive to nearly anywhere! Here is where I discovered Pete’s Market. And Lindemans Framboise…Oh, sweet raspberries, how I love thee. I would go on walks down to Lake Union, bringing along my past-date bread to feed the local ducks, and then head into Pete’s, directly to the Southwest corner to pick up a 12-ounce bottle of Framboise. Then head back home, go online and chat while enjoying my lovely pink raspberry beer. BEER CULTURE→ Washingtonians enjoy drinking while visiting with virtual friends. During this period, I met Craig. And I continued exploring beer. 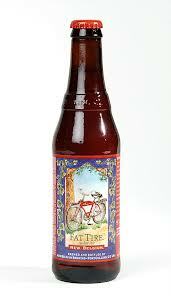 Mostly picking up six packs of this or that from the store— QFC, Safeway, Trader Joe’s. We found our refrigerator collecting bottles. It was collecting beer with cute labels that had a terrible bitter flavor. I sometimes drank Craig’s Miller High Life or Pete’s Strawberry Ale, but was still on the search for something…a better beer. Relaxation time meant watching TV, playing on the computer, taking Duke (our Brittany Spaniel) to the park, or going to our friend Jason’s. Jason had the ideal place for hanging out. Though his beers of choice were typically on the bitter side, most went down pretty easy when playing a game of croquet in his backyard on a warm summer eve and enjoying a burger from the BBQ. BEER CULTURE→ Washingtonians enjoy getting together with friends—outside—for beer drinking. And we’re not afraid to pair our beer with food and games. We’d also sometimes go out to the local neighborhood tavern, The Eastlake Zoo, and share a pitcher of New Belgium Fat Tire Amber Ale with bar snacks over a game of pool or darts. The nature of contract work is sporadic, so Craig recommended I find a job with more stability. I have a keen interest in the Wide World Web, so focus on finding a full-time job in that field. I land in the writing and information architecture team at a local Web design firm. In the heyday of Internet firms, these were the cool companies to work for. You’d find open workspaces, foosball tables, and Friday happy hour in the workplace. There’s nothing quite like having a glass of wine, bottle of beer, or mixed drink while you’re finishing that crunch project on a Friday afternoon. It definitely takes the edge off. During this time Craig worked a job that took him out of town on an overnight stay, so other than getting home to hang out with Duke, I had no reason to hurry home. So sometimes I went out to have a mixed drink (God forbid, not beer! In this tale of mine) — or a beer with work friends. BEER CULTURE→ Washingtonians enjoy getting together with colleagues to drink beer. We attend our first beer festival at the Herb Farm. I discover chocolate beer. BEER CULTURE→ Washingtonians enjoy getting together with strangers to drink beer. I look for the chocolate beer everywhere. It’s not at any grocery stores. I use the Internet to try to find it. I discover it is a limited release keg product. I am saddened. By this time, Craig is working for a beer/wine distributor and comes up with the idea for a beer store. He doesn’t tell me about it at first. Instead he shares it with Ric & Dianne, wine store proprietors, Corky Cellars in Des Moines. They don’t laugh at him. They think it’s a good idea. They tell him about a place where his idea is already in existence: Bottleworks. We drive to Wallingford, visit Bottleworks and leave with a bunch of beer from Belgium, Africa, and beyond! This is kind-of what Craig had in mind, but more… more… bohemian. The dot-com bubble breaks. I change jobs. We buy a house in the south-end suburbs. We continue sharing our dreams. 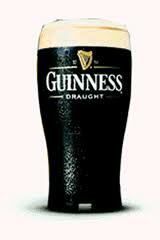 We continue drinking beer at home and with friends. We enjoy a beer with a meal out now and then. We keep talking about the beer store idea. I change jobs to something with a shorter commute; Craig is at the end of his rope at his job. We decide it’s time to piss or get off the pot. We study, research, take business courses, write a business plan, seek funding. I discover I know virtually nothing about beer, other than I like trying different beers. 99 Bottles is hatched and build-out begins. January 20, 1997 we open 99 Bottles. Now my journey into Washington’s beer culture can really begin. DISCLAIMER: This article is not intended to promote or condone underage drinking. Know your local laws and abide by them.